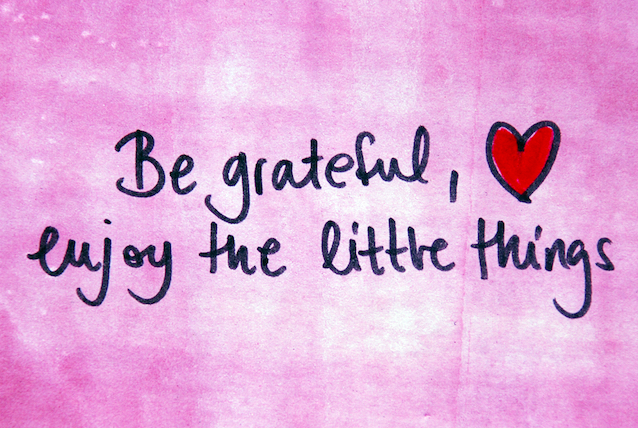 So it's another Feel Grateful Friday but this one's going to be a little different. While I have countless things to be grateful for this week I want to talk about one very specific thing. Warning: It's about to get deep over here. I've been a little MIA recently as far as commenting on my sweet friend's blogs or being present on my social media. The fact of the matter is it boils down to a few things, not the least being that I've been super busy. As I've been really trying to meditate more and be present in the moment, I find that when I have had time to be on social media I just really didn't want to. Some of that is because I want to actually be with my family and friends when I have the time to, but also that I was finding I just legitimately didn't want to. Instead, I wanted to read a book or watch a show I've been meaning to catch up on or just do other things in general. And wouldn't you know it, I feel like I've had the exact break I needed at the exact time I needed it. I think this happens to a lot of us, at least according to the ones who are brave enough to share those heartfelt posts, that at some point in our lives we feel less than. Less than our friends, less than our loved ones, less than what society tells us is right. For a long time, I've been feeling less than. I've felt like I needed to do everything, and when I couldn't accomplish that at the end of each day I began to wonder why I couldn't just adult the way everyone else could. Why can't I get up at 3:30 in the morning and work out and then put on a full face of makeup for my 15 hour day, and then go home and cook a nice meal, all while trying to spend time with my husband and finish up the work I needed to get done, whether that be blogging, chores, etc. Lucky, I had an epiphany, and for this, I am so grateful. Instead of starting my week off beating myself up over all the things I didn't do this weekend, I thought, "I'm doing my best." It's true. I do what I can and I do a lot of it and I'm proud of that. Each and every day I wake up, I get out of bed, and I keep the wheels turning. My family is happy and healthy. We don't go without. Our lives are full of love and smiles and positivity. This, at the end of the day, is what it's all about. I try my best. I do what I can when I can. And I'm okay with that. More than okay with that. Whatever it was in my brain that told me to let go of unrealistic expectations this week and to just be, came just when I needed it the most. That's right girl, you are doing your best and thats all you can and need to do!! I feel a pang of guilt when I don't comment as much but I know most bloggers are like us and they will keep coming back even if we don't comment and we are all in the same boat who we get it. Social Media makes me so stressed at times and who needs that? Just relax and know your BEST is beyond GREAT and you are FABULOUS!!!!! Happy Weekend my love!! I love you chummy. You are more than enough and I'm so extremely grateful for our friendship and the realness we are able to share. I love you! Good on you Kim, you are doing your best (and extraordinarily well at that) you should be super proud of yourself. This was a really inspiring post, thank you so much for writing this my wonderful friend and I hope you have a great week! This post really resonated with me Kim, as it is easy to look back at the week and dwell on what you didn't do or what you could've done better instead of focusing on the positives. It sounds like you are not only doing your best, but going above and beyond at work and for your family, so for that you should be proud. Thanks for this awesome post and for being so frank and honest, not to mention a fantastic blog friend!